Business credit building can work for any business, even startups. It is credit in a business’s name, not tied to an owner’s personal credit, not even if the owner is a sole proprietor and the only employee. As a result, an entrepreneur’s business and personal credit scores can be very different. Because business credit is separate from personal, it helps protect a business owner’s personal assets, in the event of a lawsuit or a business bankruptcy. Even startups can do this. Going to a bank for a business loan can be a recipe for disappointment. But business credit building, when done correctly, is a plan for success. 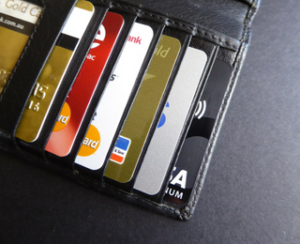 Personal credit scores depend on payments but also factors like credit use percentages. But for business credit, scores really only depend on if a business pays its bills on time. Business credit building is a process, and is not automatic. However, it can be done easily and quickly, and is much faster than building consumer credit scores. Doing the steps out of order will result in repeated denials. You can’t start with store or cash credit from your bank. If you do you’ll be denied 100% of the time. A business must be legitimate to all. Therefore, it will need a professional-looking website and email address, with site hosting from a vendor like GoDaddy. Business phone and fax numbers should be listed on 411.com. Also, the business phone number should be toll-free. A company will also need a bank account devoted strictly to it, and all licenses needed for operation. These licenses all must be in the exact, correct name of the business, with the same business address and phone numbers. Visit the IRS website and get an EIN for the business. Select a business entity like corporation, LLC, etc. If you operate a business as a sole proprietor at least file for DBA (‘doing business as’) status. If you do not, then your personal name is the same as the company name. As a result, you can end up being personally liable for all business debts. Plus, per the IRS, with this structure there is a 1 in 7 chance of an audit, while there is a 1 in 50 chance for incorporated businesses. Start at the D&B website and get a free DUNS number. Once in D&B’s system, search Equifax and Experian. If there is a record with them, check for accuracy and completeness. If there are no records, go to the next step in the process. First work with trade lines that report to the business credit reporting agencies, also called vendor credit. Then you’ll have an established credit profile, and a business credit score. And with these, you can start business credit building. These creditors offer initial credit when you have none now. Terms are usually Net 30, instead of revolving. So if you are approved for $1,000 in vendor credit and use all of it, you must pay it back in a set term, e. g. 30 days on a Net 30 account. Use the credit, pay back what you owe; then the account is reported. You want 5 – 8 of these to move onto the next step. You may have to apply more than once, and buy some things you don’t need, to prove your responsibility. These are companies like Office Depot and Staples, more likely to have what you need. Use the company EIN on these applications. Are there 8 – 10 accounts reporting? Then move onto fleet credit. These are companies like BP and Conoco. Use this credit to buy, repair, and maintain vehicles. Have you been responsibly handling the credit you’ve got? Then move onto cash credit. These are companies like Visa and MasterCard. Keep your SSN off these applications; use the EIN instead. Make sure transactions are reported and address errors ASAP. Get in the habit of checking credit report details, not just scores. Update if there are errors or information is incomplete. Mistakes in reports can be fixed. Generally this means sending a paper letter via certified mail, with proofs of payment. Precisely detail any disputed charges. Business credit building pays off. It is an asset which can help a company for years to come. Excellent article. I plan to use this information for my new business.